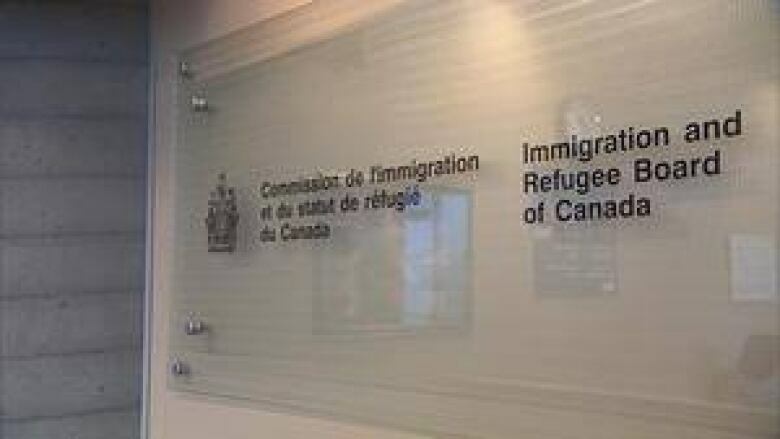 There were wide variations among the decision-making rates of adjudicators at the Immigration and Refugee Board last year, according to a new analysis, a trend that continues dispute changes to the adjudication process. Success in gaining refugee protection in Canada still seems to depend on the luck of the draw, according to a new analysis of Immigration and Refugee Board data. The analysis, done by Sean Rehaag at Osgoode Hall Law School, found wide variations among decisions by adjudicators at the IRB last year, continuing a trend over recent years and despite changes in the refugee system. Rehaag analysed 2014 decisions made on refugee claims under both the previous adjudication system and a new system that applies to claims filed after Dec. 15, 2012. His findings show that several adjudicators are far more likely to grant refugee protection, and others are far less likely, even when the data is controlled for variables such as country of origin. Rehaag adds that while some variation is normal, it doesn't explain the wide discrepancies he found. "This raises obvious fairness concerns given the stakes involved in refugee determinations," Rehaag said in an interview with CBC News, adding the "vast disparities" are consistent over the past several years that he has analyzed such data. "It's a concern in any process where we generally expect outcomes to turn on facts and law. But in the refugee law context, the stakes are extremely high." Rehaag noted that for some claimants those stakes could include torture or death if they are returned to their countries of origin. And he noted there is not much oversight of the system to prevent errors once they occur. The data show many decisions by adjudicators fall far below the average rate of acceptance that would be expected based on country of origin, and others far above. And that's the case in both the old, or "legacy," system and the new system, which is supposed to be more fair. In the legacy system, Edward Robinson (2 claims granted out of 65 total decisions, or 3.1 per cent) and David McBean (1 out of 21 decisions, or 4.8 per cent). In the new system, Teresa Maziarz (15 of 53 decisions, 28.3 per cent) and Brenda Lloyd (25 of 64 decisions, 39 per cent). In the legacy system, Barry Barnes (59 of 77 decisions, 76.6 per cent) and Kevin Fainbloom (53 of 75 decisions, 70.7 per cent). In the new system Nina Stanwick (35 of 38 decisions, 92.1 per cent) and Rabin Tiwari (104 of 117 decisions, 88.9 per cent). In a written response, a spokesperson for the IRB noted there are many factors that can cause variations in acceptance rates. "Each refugee protection claim is unique and is determined by members on its individual merit," Melissa Anderson wrote. Anderson cited as factors the region or city in which claimants lived, their ethnicity or nationality, their gender, whether they spent time in a third country without making a refugee claim before coming to Canada, and the evidence they or their lawyer presents to the refugee protection division. Analysis of data on Immigration and Refugee Board decisions shows a wide variance in outcomes depending on who is hearing a case. She also noted that the credibility of the claimant can be a key factor in the decision. Still, immigration lawyers who regularly appear before the board say those factors don't explain the extreme discrepancies among some decision-makers. Immigration lawyer Lorne Waldman says he's always worried if he has to argue a case before certain judges. Waldman added, that while there is still inconsistency among adjudicators in the new system, he believes the variation is "less extreme" for cases post-2012. He attributes the change to a new selection process for board members that includes people from outside the IRB. Designation used to block appeal? Rehaag's analysis also raises questions about the use of a particular designation by some of the IRB decision-makers. If a claim is declared to have "no credible basis," the claimant cannot appeal the decision to the new Refugee Appeal Division, and there is no stay of deportation if they try to launch a Federal Court challenge. Rehaag pointed to two adjudicators whom he called "outliers" in the use of this designation: Natalka Cassano, who designated 54 per cent of all claims as having "no credible basis," and Randa Mekhael, who gave 28.6 per cent of cases that designation. He noted that many other adjudicators never made this declaration, even some who decided more than 100 cases in 2014. "It's particularly troubling in the light of the lack of oversight, in light of the lack of appeal," he said. "What it means is outlier decision-makers can effectively insulate their decision-making from review by the Refugee Appeal Division ... and by the Federal Court." Waldman added he's seen a marked increase in the number of "no credible basis" determinations in the past six months.